I will wait for the review at TECHTablets. Link in Weibo [Google Translate]. 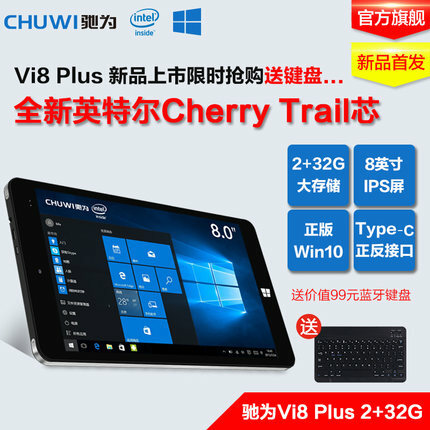 I’m being dragged back into China, just for this tablet — and until it’s released and in owner hands. Xiaomi Mi Pad vs Mi Pad 2 Comparison: What’s Changed? How much will the reduced battery capacity affect run time? I don’t know. Xiaomi is claiming MIUI has very good battery optimization. That could be so — but what about Windows 10? The 16GB Android-only version will be available for sale on November 27, this Friday. The 64GB Windows 10 version will allegedly be available late December. And there are already rumors about that the version of Windows 10 on it will have unknown bits missing. Given the lack of microSD card slot, that’s unsurprising. I saw the box for this yesterday at Best Buy. No demo model out (yet?). 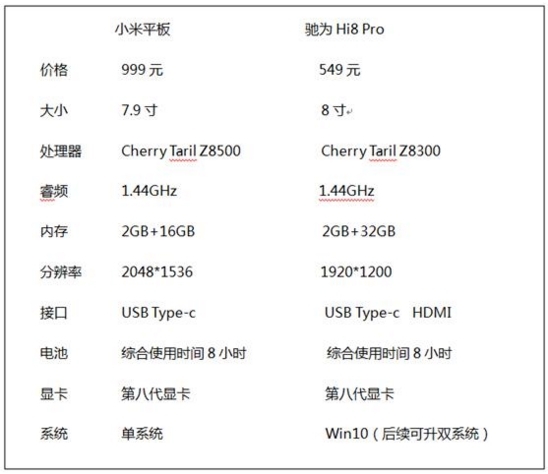 Unspecified quad-core Intel Atom CPU, 8.9-inch screen at 1920 x 1200, 2GBs of RAM, 32GBs of storage. I know some people earlier on were considering an 8.9-inch tablet from China. So here it is in America now, probably no better than what you can order from China. Best Buy is flooding their stores with craptabs. They, along with Amazon’s new eye-shredding non-Retina tablets, will ruin the market. How soon will Best Buy have to stock Windows/Android dual-OS tablets to try to revive dead sales? And I got curious about the Digiland tablets Best Buy stocks. The trademark owner is none other than Lightcomm, the maker of the Insignia Flex Elite 7.85! If Best Buy keeps on this path, they’ll have to rebrand to Best Buy From China. Xiaomi Mi Pad 2 shows up with an Intel processor, Windows 10 support a reality? Interestingly, synthetic benchmarks report a loss in performance on this new Mi Pad 2 compared to the first-gen, Tegra K1 powered Mi Pad. Single and multi-core scores this time around are 985 and 3268 points on the new Mi Pad 2, while the original manages close to 1100 and 3400 points respectively. 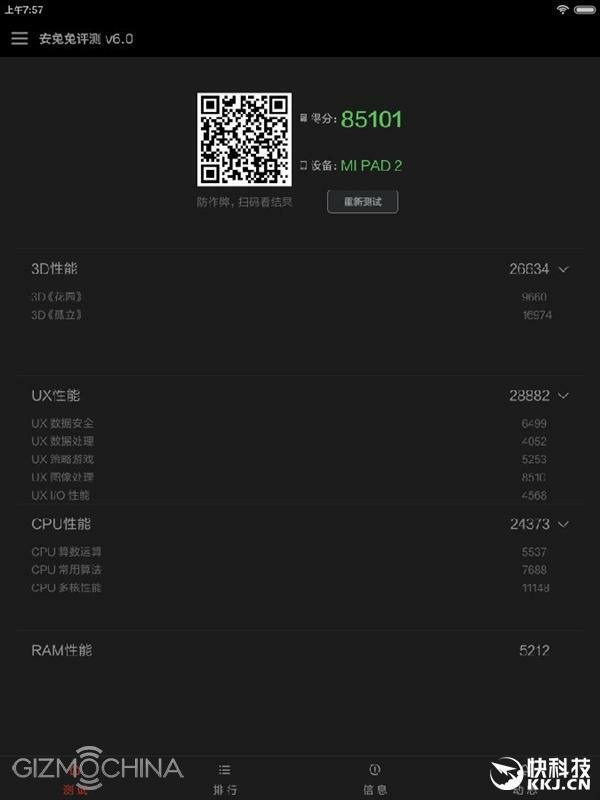 The most surprising thing about Mi Pad 2 is that it boasts of an Intel Atom x5-Z8500 processor clocking 2.2 GHz and packs 2 GB of RAM as it is evident from the information listed on GeekBench page. Mi Pad 2 will run on Android 5.1 Lollipop out of the box like its predecessor. I have to agree with Commenters at both sites. Just 2GBs of RAM is insufficient, especially if this will be a dual-OS tablet. 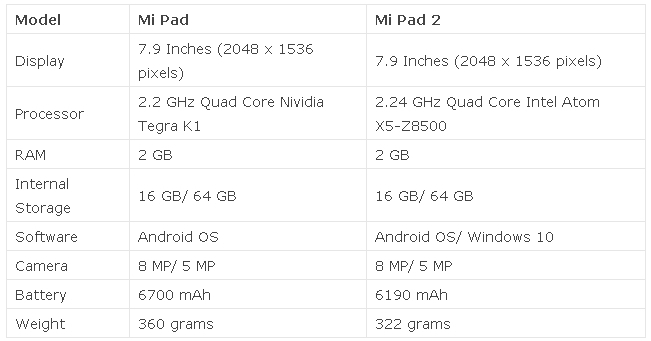 WTF: Dual-OS Xiaomi MiPad 2 Will Still Be iPad Mini Clone?